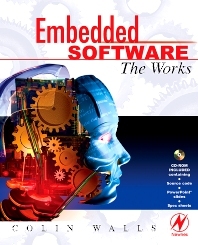 Embedded software needs have grown exponentially over the past quarter century. In 1975 writing 10,000 lines of assembly code was a considered a huge undertaking. Today, a cell phone can contain five million lines of C or C++! Embedded software developers must have a strong grasp of many complex topics in order to make faster, more efficient and more powerful microprocessors to meet the public’s growing demand. This practical guide, written by industry pioneer Colin Walls, helps embedded design engineers to rise to that challenge. The author offers expertise and insights from his quarter century of design experience, covering a plethora of major concerns in an easy-to-reference essay format that provides the reader with detailed tips and techniques, and rigorous explanations of technologies. Contributions from other well-known designers in the embedded systems field offer additional seasoned perspectives on everything from exotic memories to USB software. This one book has an amazing breadth of coverage, undertaking all the key subjects embedded engineers need to understand in order to succeed, including Design and Development, Programming, Languages including C/C++, and UML, Real Time Operating Systems Considerations, Networking, Programmable Logic and much more. For those in the field who are looking to broaden their professional skill-sets in order to advance, as well as those "newbies" just entering the field of embedded systems design, this comprehensive new reference is a must-have! The accompanying CD-ROM contains source code for the many real-world examples in the text, to save readers from needless re-typing. Also included are PowerPoint slides to create training seminars or classes from the text, and various product-related spec sheets. Foreward Preface What’s on the CD-ROM? Embedded Systems Division, Mentor Graphics, London, UK.